Fred Van Remortel manages Van Remortel LLC and is licensed to practice law in Colorado, New York and Wyoming. His practice focuses on litigation and counseling in the commercial, real estate and financial areas. Mr. Van Remortel's experience includes cases involving title resolution, commercial foreclosures, civil forfeiture, lender liability, securities and commodities fraud, employment disputes, breaches of contract and a variety of commercial cases. He has also represented clients in matters with agencies such as the SEC, FCC, FINRA, NYSE and CFTC. 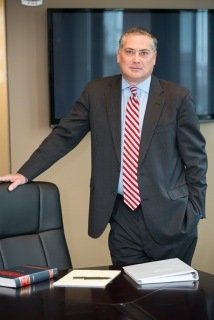 Mr. Van Remortel's recent representations include his successful defense of a technology company in a securities fraud suit brought by the United States Securities and Exchange Commission after three years of litigation; a defense of a title insurer resulting in no damages in a multi-million dollar claim case; a victory on summary judgment dismissing breach of contract and bad faith claims against a title insurer in another multi-million dollar lawsuit; and representation of a creditor who gained clear title to a $6 million dollar property in connection with a bankruptcy case and related litigation. Additionally, Mr. Van Remortel has managed the active litigation of more than 200 cases for title insurers, lenders and others who hold interests in real property. Outside of litigation, Mr. Van Remortel represents clients in business and real estate transactions and work-outs, including lenders, investors, trusts and insurance companies with respect to office buildings, sports facilities, industrial and residential properties. Mr. Van Remortel received his law degree from Brooklyn Law School where he was Vice President of the Moot Court Honor Society and was a recipient of the Order of the Barrister. At BLS, he was a research assistant to a former Commissioner of the United States Securities and Exchange Commission. He provided research and assisted on the publication of several scholarly works. After law school, Mr. Van Remortel worked for a securities litigation firm in New York City, Conway & Conway, eventually overseeing all of its state and federal litigation. He then started his own firm in New York, which he ran for 5 years before returning to Colorado where he grew up. Mr. Van Remortel continues to handle New York matters as of counsel to Conway & Conway. Upon returning to Colorado, he worked for a Denver-based firm, which had offices in several western states, as managing attorney of litigation. Mr. Van Remortel graduated from UCLA with a bachelor of arts in English where he appeared on the Dean's List and Athletic Director's Honor Roll, and participated in a variety of activities including intercollegiate sports. Mr. Van Remortel has written several articles on litigation, real estate, and financial topics related to law. He is the primary author for a new blog related to the U.S. Court of Appeals for the 10th Circuit. He has made many presentations to industry groups and at client seminars. He is an active volunteer with the Rocky Mountain Children's Law Center where he represents children as a guardian ad litem in cases of domestic violence. Mr. Van Remortel is a member of the Faculty of Federal Advocates. He also coaches youth track and field.